Walter Rass, the cheese maker from for Kaserei Tufertschwil in the Canton of St. Gallen, Switzerland, uses his years of experience crafting Appenzellar to create an original variation of the time honored favorite: Chällerhocker. By altering the cook temperature, making his own rennet, and using unskimmed milk, Rass presses the curds into molds and allows them to rest a day before initiating the washing process. 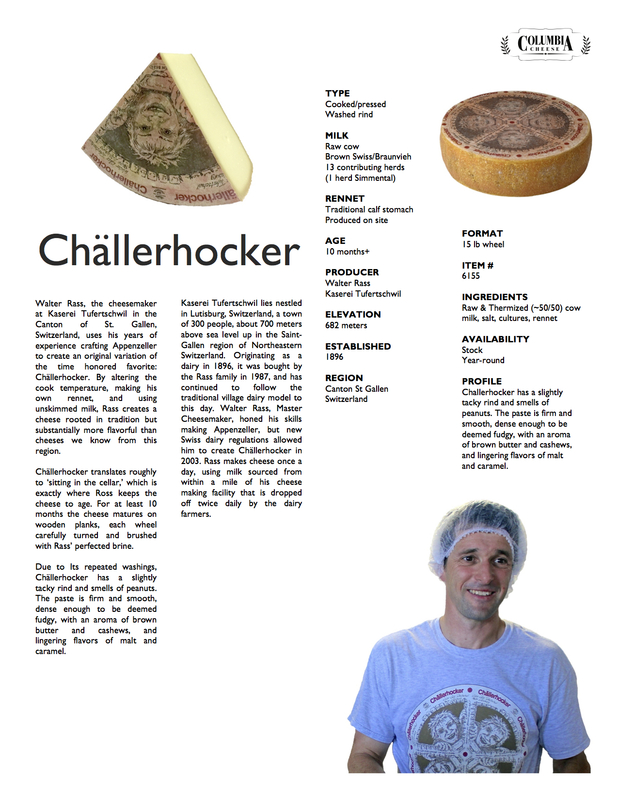 Chällerhocker translates roughly to ‘sitting in the cellar,’ which is exactly where Ross keeps the cheese to age. For at least 10 months the cheese matures on wooden planks, each wheel carefully turned and brushed with Rass’ perfected brine. 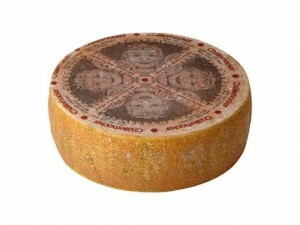 Due to Its repeated washings, Challerhocker has a slightly tacky rind and smells of peanuts. The paste is firm and smooth, dense enough to be deemed fudgy, with an aroma of brown butter and cashews, and lingering flavors of malt and caramel. Kaserei Tufertschwil lies nestled in Lutisburg, Switzerland, a town of 300 people, about 700 meters above sea level up in the Saint-Gallen region of Northeastern Switzerland. Originating as a dairy in 1896, it was bought by the Rass family in 1987, and has continued to follow the traditional village dairy model to this day. Walter Rass, Master Cheesemaker , honed his skills making Appenzeller, but new Swiss dairy regulations allowed him to create Chällerhocker in 2003. Rass makes cheese once a day, using milk sourced from within a mile of his cheese making facility that is dropped off twice daily by the dairy farmers. PROFILE Chällerhocker has a slightly tacky rind and smells of peanuts. aroma of brown butter and cashews, and lingering flavors of malt.